When I refer to the “faith” in this post, I am speaking of fides quae or the faith which we believe (objective) and not fides qua or the faith by which we believe (subjective). It’s the content of the faith and not our response to it that is the focus. divided the faith up into smaller age-appropriate parts, or themes, each covered in one-year cycles. 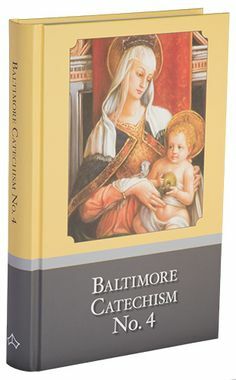 The Baltimore Catechism covered all of the themes in each cycle, increasing the depth with each pass. The first was an inductive and the second a deductive approach to teaching the faith. When I consider my experience then and what I know now, I do believe that one approach is superior to the other. The best strategy for teaching the faith approaches it as a coherent system, employs shorter, broader cycles, and explores the faith in greater depth with each passing cycle. I am speaking of the strategy/approach, and not the tactics/methods. Whether a question-and-answer format is superior to one that uses open-ended discussion questions is not the focus of this post. To look at this issue, I will look specifically at the approach taken by the Faith and Life (F&L) Series and compare it with that taken by the Baltimore Catechism (BC). The F&L Series breaks the faith into what I will refer to as age-targeted themes, and tackles one theme each year. The BC attempts to cover all of the themes each cycle (often a year), and then delves more deeply into the material with each successive cycle, respecting the intellectual development of the student. These two are good candidates for comparison since their approaches are very different, yet I think the content of both is excellent. The Catholic faith is a comprehensive and coherent worldview. It is a system of truth through which Man may gain an accurate understanding of reality. Approaching the system as a collection of parts may seem logical, but it’s a reductionist mistake. 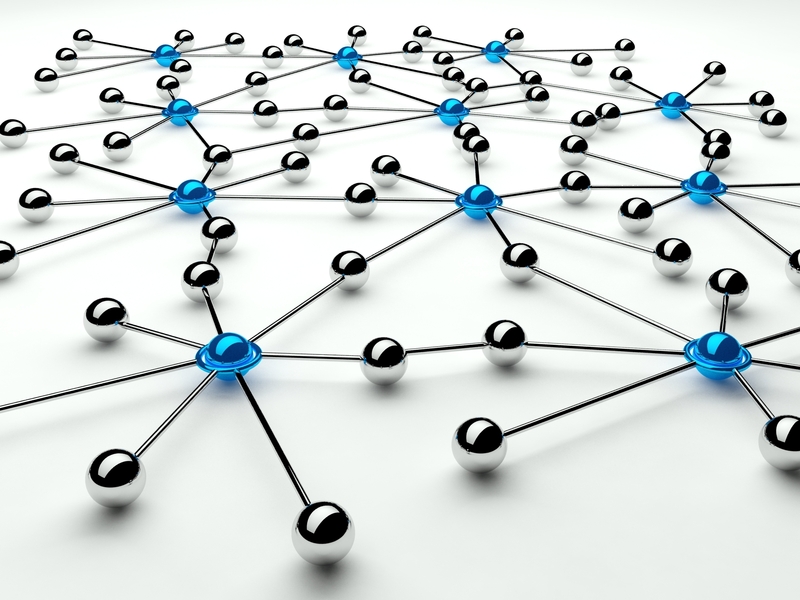 A complete understanding of any part within a system requires understanding how that part relates to all others within the system. In his work Metaphysics, Aristotle makes the point that the whole is something beyond the parts. He uses as an example, Homer’s Iliad. The Iliad can be thought of as a collection of words, yet it is more than just a collection of words. The words selected and their relation to each other gives rise to a timeless classic. A system’s purpose and power is found in the whole, and it’s to this that the parts all contribute. When learning about an engine, a student must first gain an understanding of the system’s purpose before they can fully understand the individual parts (spark plug, distributor, valve, etc.). This understanding of the whole aids and adds to the understanding of the parts. In general, I think it’s fair to say that the F&L Series seeks depth before breadth whereas the BC seeks breadth before depth. For this reason, the BC method of basing a cycle on a broad understanding of the entire system before attempting to go into depth in any particular area is superior to the the approach taken by the F&L Series of addressing in depth one theme each cycle. Teaching the faith by breaking it into themes has at least two challenges. The first involves the education of children and their fast-growing intellect. This rate of growth over several years can be astounding and must be taken into account. The one-theme-per-cycle approach risks an uneven grasp of the faith. For example, the F&L Series starts first-graders out learning about God the Father and the Trinity, while seventh graders focus on the life of grace. If a student’s understanding of the Trinity fails to progress beyond a first-grade understanding, how will that impact their ability to fully understand a life of grace? 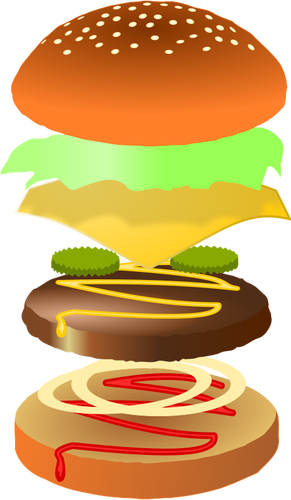 Where the F&L Series style program is like eating a hamburger vertically (top bun then mayo then lettuce then tomato then pickles, etc. ), the BC style program is like eating a hamburger horizontally – you may get a lot of bun and not much meat the first bite or two, the ratio adjust as progress is made. The second challenge involves parish education programs in general. These programs are often multi-year programs that have weak and inconsistent attendance. Often, they are replaced before the full multi-year program is completed in order to start a new program that has greater appeal or potential. This can easily lead to a fragmented understanding of the faith; one with a limited understanding of a few parts but lacking a solid grasp of the whole. 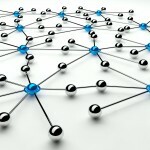 A strategy that uses broad cycles with increasing depth addresses each of the challenges. Without the purpose of the system to organize and guide understanding of the parts, conclusions contrary to the teachings of the Church are always a real danger. We need a holistic, “big picture” view of the faith to help us organize and fully understand the parts and their relationships. This system of whole and parts allows reason to operate fruitfully and enables the faithful to make judgments and decisions that are rational and faithful even in situations where the exact answer is not known to the individual. Exploring themes of the faith has its place, but only after the whole is adequately understood.